When Mayor Tremblay announced he wanted Marc Parent to serve as Montreal’s new police chief on Aug. 19, he outlined a set of priorities for the city’s top cop. “Protests, homelessness, drugs, prostitution, the squeegees, street gangs,” Tremblay said to a room full of reporters. The mayor eventually added racial profiling to the list, but only after a journalist broached the topic. “There will be no tolerance for racial profiling,” said Tremblay. Montreal’s police force has routinely denied charges that its officers engage in racial profiling. But earlier this month, a report by criminologist Mathieu Charest detailing the extent of racial profiling by the city’s police force was made public. After investigating over 170,000 police files from between 2001 and 2007, Charest found that young black men in Montreal North and St-Michel were eight times more likely to be stopped or questioned by the police than young white men. Guillaume Hébert works for Montréal Nord Républik, an activist community group based in the Haitian community of Montreal North. Hébert contends that ending institutionalized racism should be among the new police chief’s top priorities if he wants to establish better community ties during his mandate. Parent ran the northern region of the city’s police for the past five years. He was at the helm when racial tensions between residents of Montreal North and law enforcement erupted following the fatal police shooting of unarmed teenager Fredy Villanueva. Since then, Parent has reached out to community groups and worked at establishing a more cordial relationship with local residents. 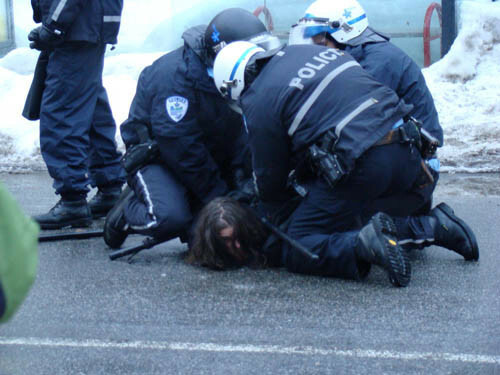 Alexandre Popovic, a spokesperson for Montreal’s anti police brutality coalition, claims Parent’s community outreach doesn’t match up with the reality on the ground in Montreal North. Hébert pointed to the police’s response to the Villanueva shooting as an example of how public trust was lost and of how Parent can reverse the trend. “I just hope Parent doesn’t accept a situation in which officers are systematically defended and whitewashed by the department,” he said. “Protocol was broken and the public now believes that the police operate with impunity.